(Update) This deal is over. 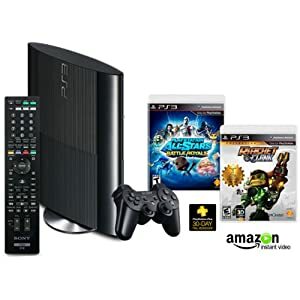 Over $100 in savings with the PlayStation 3 Amazon Exclusive Bundle, Shipping weight : 6.85 lbs. All the above for USD $279.99!